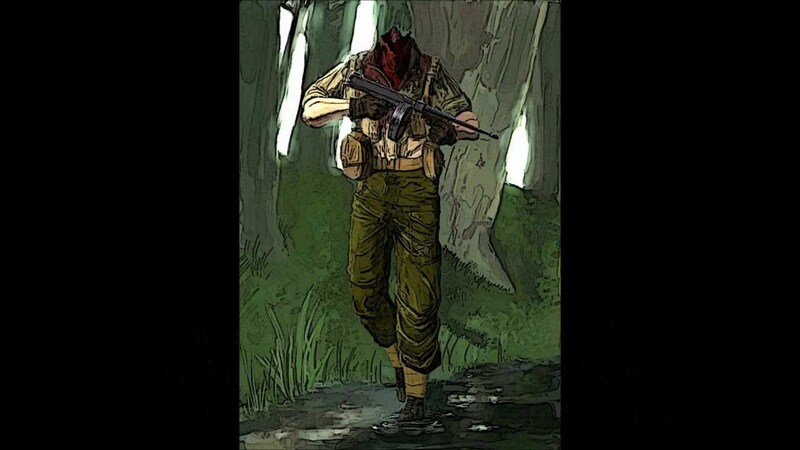 Roland The Headless Thompson Gunner — by John McKenna. I am beginning to realize that I am not quite normal. Strange thoughts ricochet through my consciousness and end up in stranger places. It’s like getting shot with a .22 — those little things rattle around in the most unexpected ways. My friend Craig Rullman stopped by the office the other day and told me a funny story about a visit from a pesky agent of the U.S. Census Bureau. It has all the elements of a classic hooraw-the-tenderfoot episode. He wrote it up at The Bunkhouse Chronicle. Go read the whole thing here. In a minute. One of the delights of Central Oregon living is the occasional outburst of sporadic gunfire in the woods, and it was during my summit with the government agent–who began by asking a series of questions I refused to answer–that someone, probably over toward Whychus Creek, began hammering failure drills with an AR. There is no mistaking the cadence of an AR in the hands of someone who knows how to use it. Two to the chest, one to the head. Now, this wasn’t the point of the story, but I latched onto it hard after Craig left. Failure Drill. I know what the “two to the chest, one to the head” thing is all about — but I thought it was called something else. What was it, dammit? Who cares, right? No… you don’t understand. A piece of shooting-related arcana that I can’t place — and Google at my fingertips. Ah, yes — The Mozambique Drill. Knew it was something exotic. I read my Jeff Cooper when I was young. Cooper adapted it for his Modern Technique of the Pistol, but it is obviously applicable for a semi-auto carbine. It’s called a Failure Drill as in how to avoid a “failure to stop.” So named when picked up and formalized by the LAPD ’cuz Mozambique Drill might be misperceived as having racist overtones. Wait. Mozambique? African Bush Wars? I know. Where the hell did that come from? One of them Rick O’Shays! Nevertheless… Warren Zevon. So I’ll say this in my own defense: If anyone could completely relate to arcane sick-and-wrong thoughts ricocheting in all directions in an overactive brain, it was the late, great Warren Zevon. I’d like to meet your tailor. Well, let’s meet down at Trader Vic’s. I’ll buy you a piña colada. We were taught that failure drill at the Sheriff’s Academy, there wasn’t much of a pause to assess the success or failure of the first two shots. If they were still standing after the first two shots, the head shot was the immediate reaction. Quicker the better, I expect. Zevon had an amazingly eclectic body of work – lyrically & musically. I congratulate myself upon discovering your site, at last a man and a place with interests that coincide with my own. There is NOTHING here that does not interest me, some of it pierces to my sick 70 yr. old heart. How came this site? Where these comrades from the past? It is cruel what you have re-awakened in me. Life, when I am nearly off the range, out the woods, home from the hill. It would be better, more sensible, to beg you leave me, but I cannot. Welcome Missouri Mike. Glad to have you here.